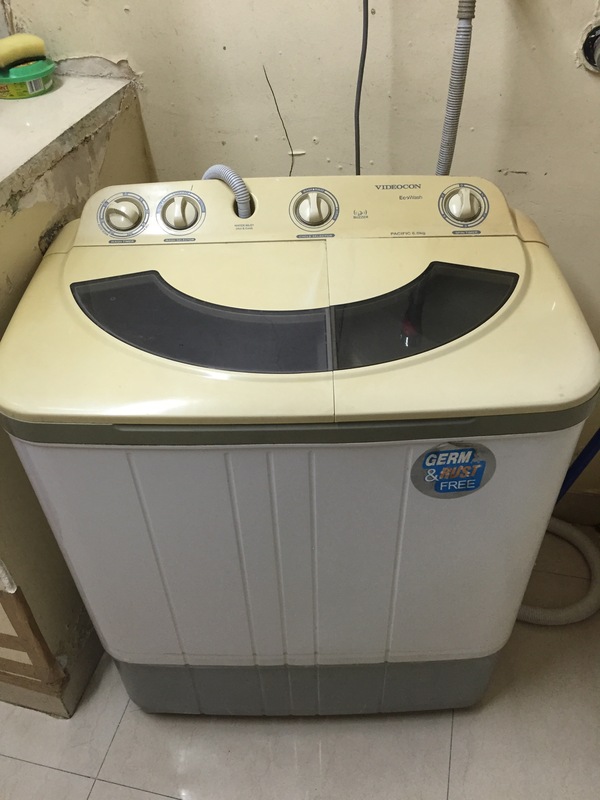 The first time I explored our appartment in India I remember thinking: “Good, we have a washing machine”. Definitely it has made life a lot simpler but it does make me realise the passing of time and I feel like in the 50s whenever washing must be done. I think of the attention the washing machine constantly requires to get the job done, the frequent opening of water taps, closing taps, turning dials and having a completely different compartment for spinning. I think of the first few times I left the washing machine on and left the house only to come back to a big puddle of water around it. I remember our washing machine back home and the noticeable difference in the input it requires. But now, I feel like I have gotten a hang of this machine that probably only in India I would ever have gotten to use.